When you think of debt, credit cards and personal loans are probably the first things that come to mind. You would be surprised to know that, besides mortgages, one other type of debt beats those two: student loan debt. Student loan debt is crippling Americans. In the United States alone, college graduates carry $1.5 trillion in student loans. This amounts to 44 million borrowers carrying, on average, more than $37,000 in debt. The states with higher populations – such as California, Texas, New York and Florida – carry 20% of student loan debt. Attorney Jeffrey Nadrich, points out, "student loan debts cannot be discharged in a bankruptcy, so think before you accept a loan." If you or your child is heading off to college soon, it’s important to understand the impact of student loan debt. The most expensive college isn’t necessarily the best. Harvard University costs more than $46,000 per year without financial aid. Add in room and board and you’re looking at nearly $68,000 a year. After four years, that number approaches $300,000 – the cost of a decent house in many parts of the country. There are much cheaper options to get a college education. For example, Sitting Bull College in North Dakota costs just under $1,000 for four years. California State University-Los Angeles costs just $3,263 to get a degree. Even University of Texas at El Paso is a bargain, at just $5,224. These colleges aren’t for everyone, though. If you plan to attend a more expensive school without a scholarship or some form of financial aid, then be prepared to pay. Read on to learn about your student loan options. The standard student loan repayment plan is 10 years, or 120 months. Payments are the same every month. There is also a variation of this called the graduated repayment plan, in which payments start off low and then increase as the borrower’s income rises. Payments increase every two years. Those who choose this plan pay more interest over time that the standard plan. For those with more than $30,000 in federal loan debt, an extended repayment plan is available. The length of the term goes up to 25 years. Payments are small, but the borrower pays more interest over time. Income-based repayment (IBR) is another option for borrowers. This program adjusts your minimum payment based on family size and income. Loans after July 1, 2014 are capped at 10% of one’s discretionary income. Private student loans do not have a set repayment schedule. While many allow repayment over 10 years, some extend to as long as 25 years. If you are having trouble repaying your student loans, forbearance may be an option. Forbearance delays your payment for a temporary amount of time. However, interest continues to accrue during the time, so you will end up paying more in the end. The primary difference between subsidized and unsubsidized loans is when interest accrues.The federal government pays the interest for subsidized loans while the student is in college. 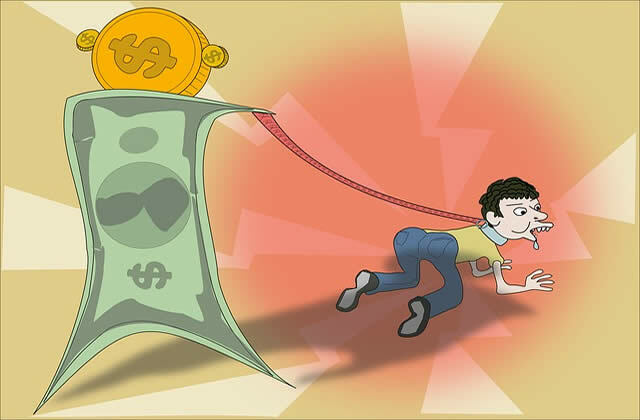 For unsubsidized loans, interest accrues as soon as the loan is taken out. The current interest rate for both types of loans is 5.045%. They also have a 1.066% fee attached to them. Those employed by the government or a non-profit organization may qualify for loan forgiveness. If you work full-time for a qualifying employer and have made 120 loan payments, you could get the balance. The full requirements are listed here. However, there have been many flaws with the program. Most people who should qualify end up rejected. It is up to Education Secretary Betsy DeVos to make any required fixes, but so far, that has not been happening. Time is running out to take advantage of this program. In a few years, the fund will likely run out. You will likely be stuck with a student loan for many years after you graduate from college. Research the projected income of your chosen career. Will you be able to earn enough to pay for a student loan on top of other expenses? Compare college tuition prices and choose wisely. Remember, it’s not about the school and cost – it’s how you use the degree. Make your college experience worthwhile so you’re not paying the price later.